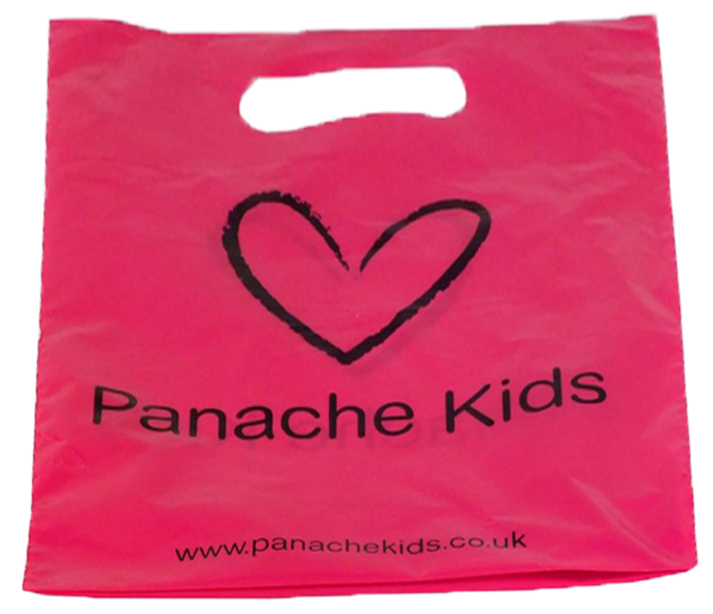 Our range of polythene party bags are not only the obvious choice for children’s parties, but are also really popular with retailers as well as companies doing promotional giveaways. 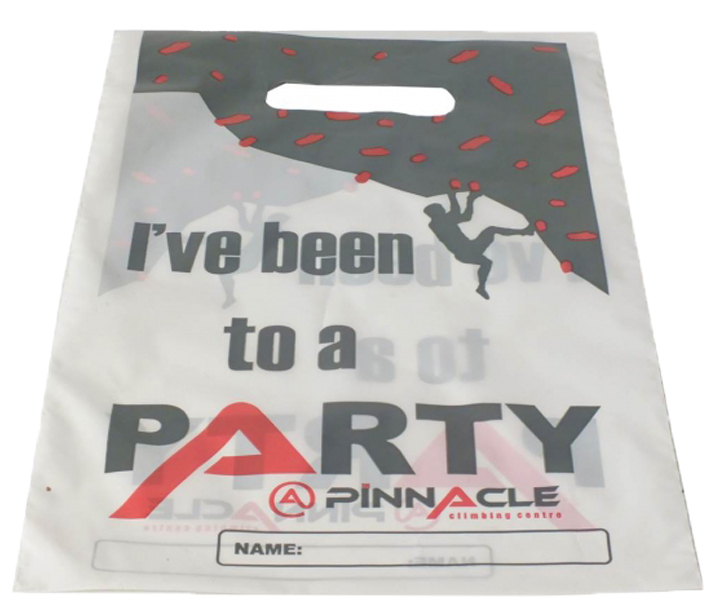 Our Party Bags are made from LDPE (Low-Density Polyethylene). Available in a variety of different gauges 180g, 250g & 300g (45mu, 65mu & 75mu). 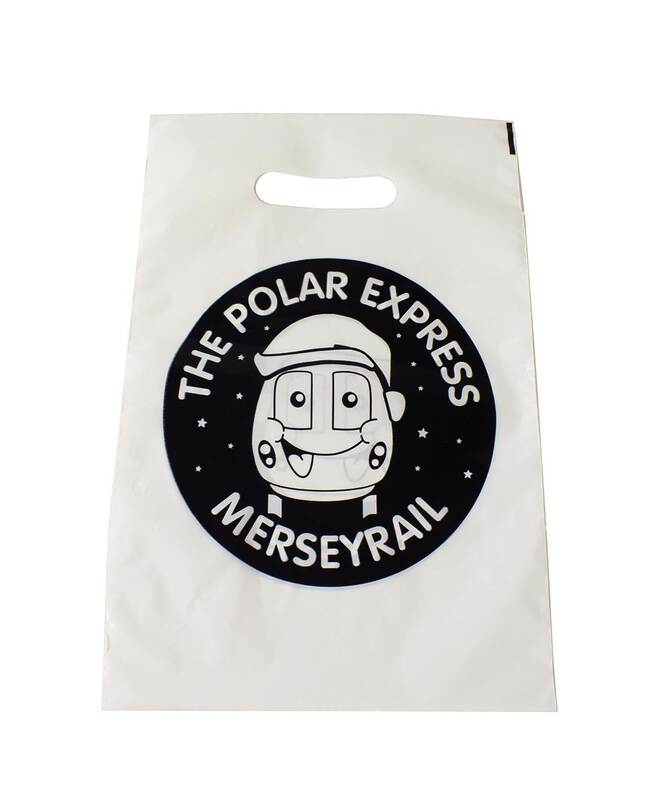 Our party bags are available in a range of film colours including white, clear, frosty and coloured (subject to stock). 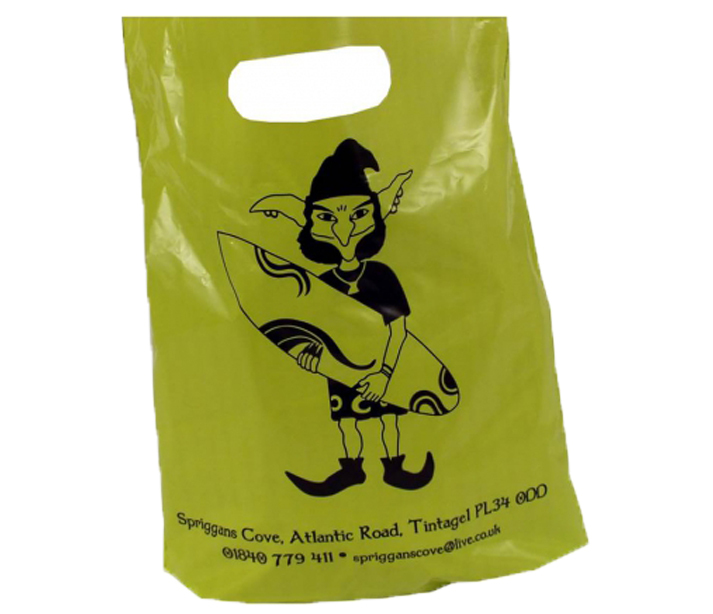 We can colour match the bags by flood printing them. Custom printed to your own design with up to 6 spot pantone colours and up to 100% ink coverage. Schulman range available, inks mixed to Pantone formula. These come with punched out handles (POH) as standard. Also available with patch reinforced handles on some sizes. Click here to download a size template. 10 – 15 working days from receipt of artwork. Express delivery service also available. 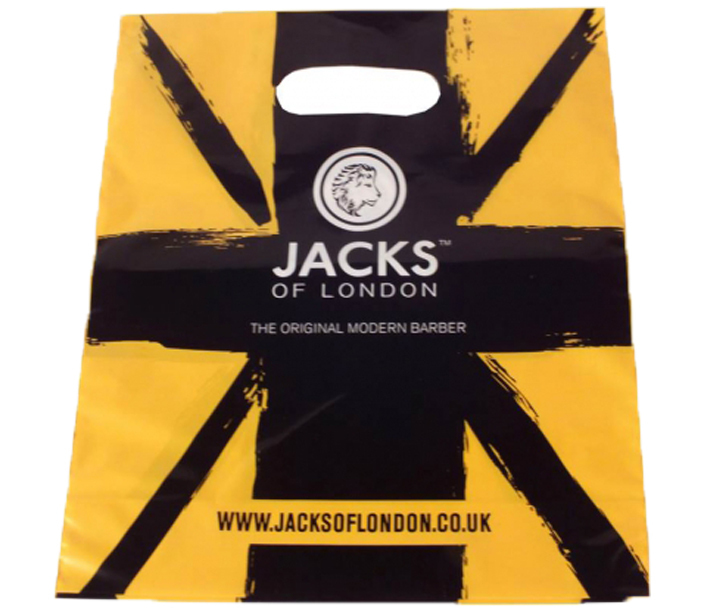 Delivery is included to 1 standard mainland UK address.